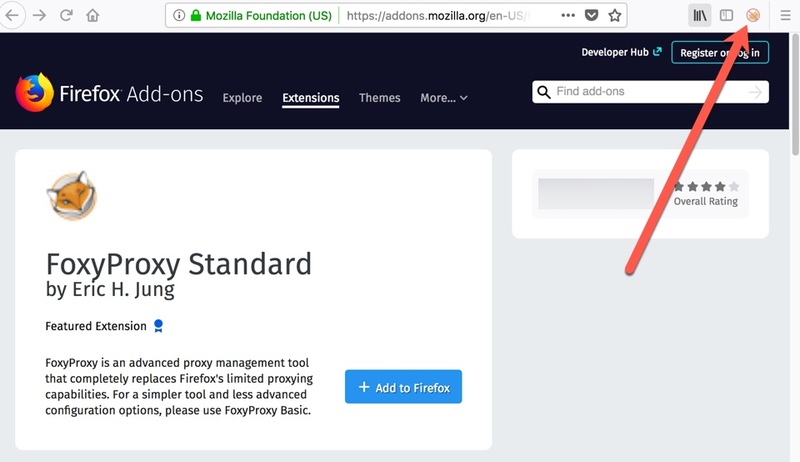 Install the FoxyProxy Addon for Firefox. 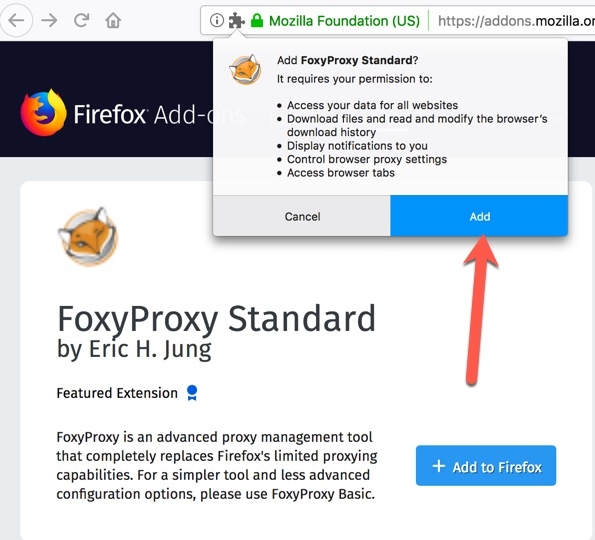 Click the FoxyProxy icon to the right of the location bar. Select Options. 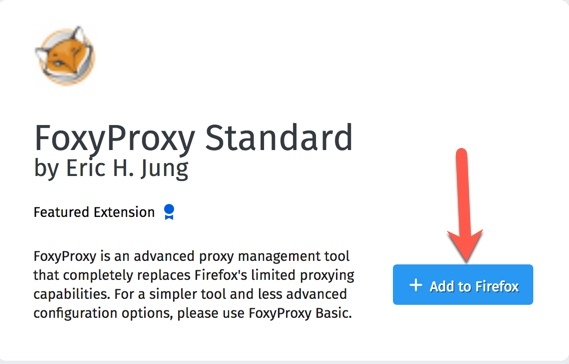 This opens the FoxyProxy Options window. Enter the IP address provided when you purchased an account. For port, enter 13129 if you purchased an account from us. Other providers may use other ports. Enter the username provided when you purchased an account from us. If you’re using an open proxy server on the internet, leave this blank/empty. Enter the password provided when you purchased an account from us. If you’re using an open proxy server on the internet, leave this blank/empty. That’s it! 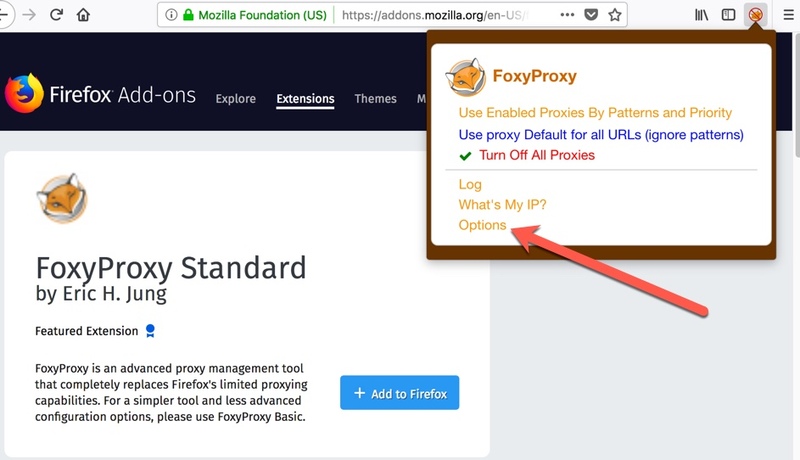 You can confirm it’s working by visiting https://getfoxyproxy.org/geoip. You should see the IP address you entered in Step 6. 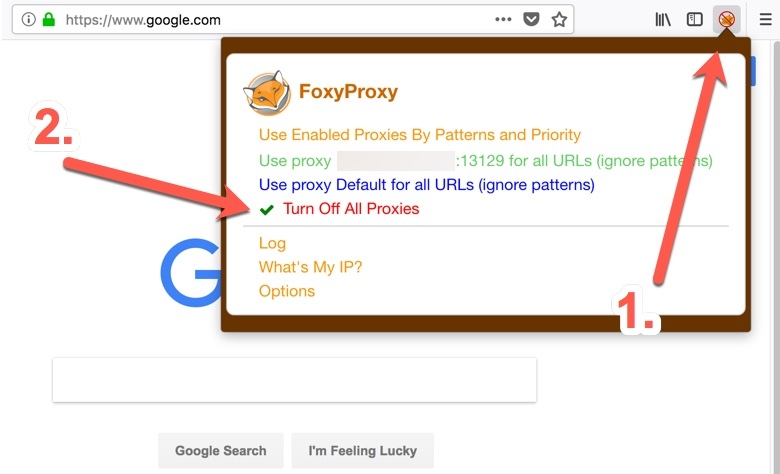 Proxies can be slower than your direct (non-proxy) internet connection. To optimize your experience, consider using FoxyProxy in patterns mode. 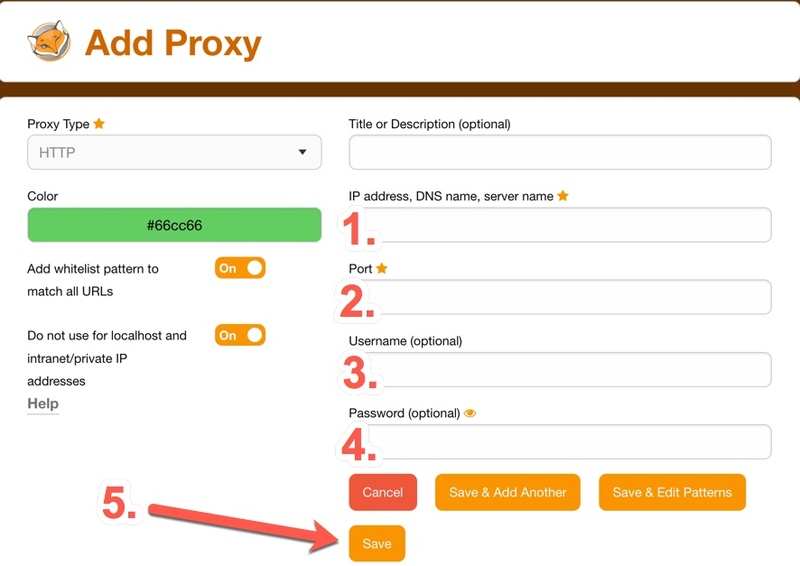 It allows you to define which websites load through proxy servers and which do not. You can also define patterns based on local IP address.